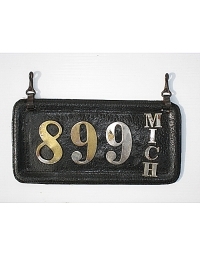 As one might expect, Michigan, a pioneer in auto manufacturing even in the first decade of the 20th century, began licensing motorcars very early. 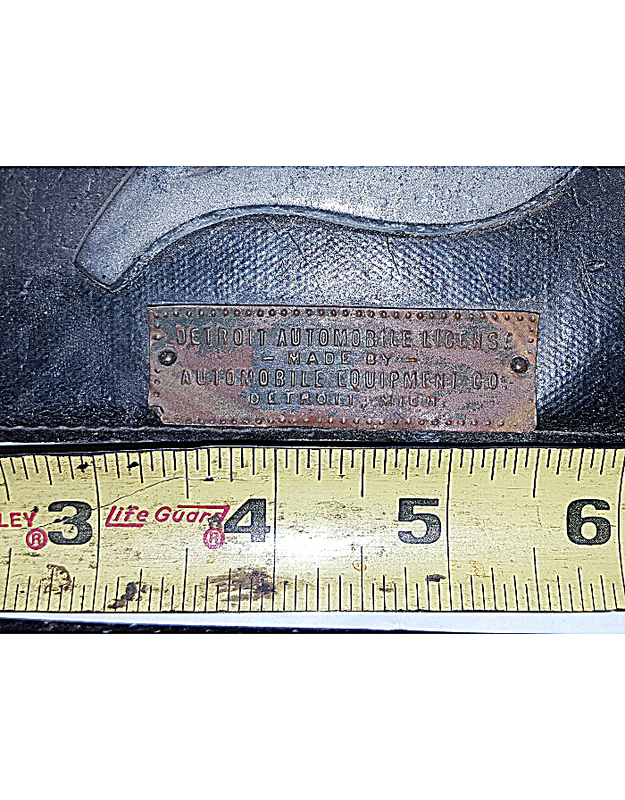 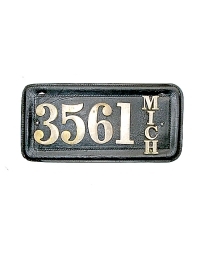 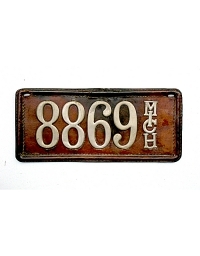 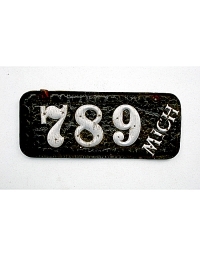 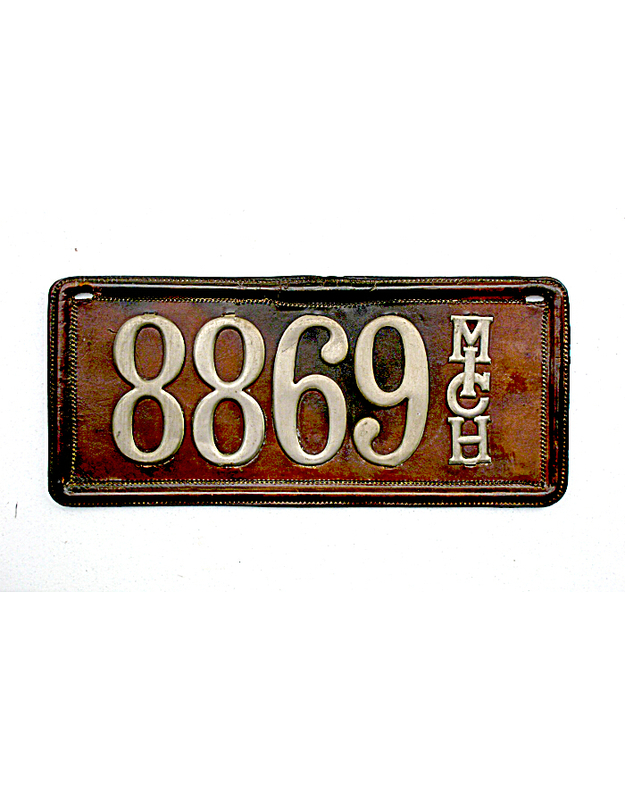 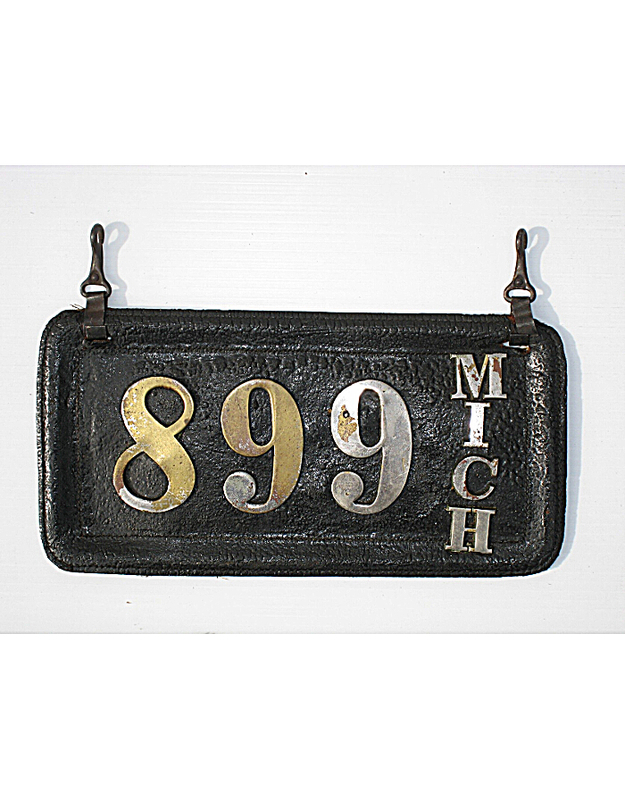 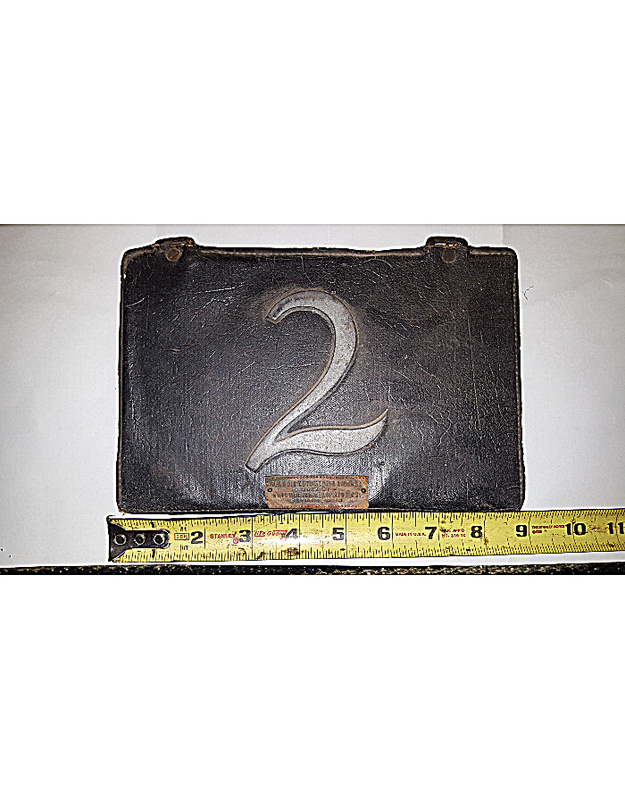 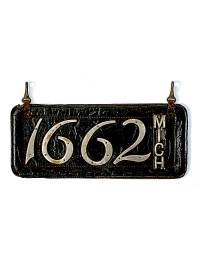 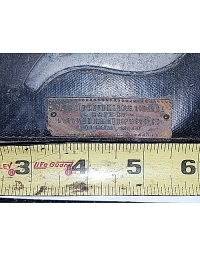 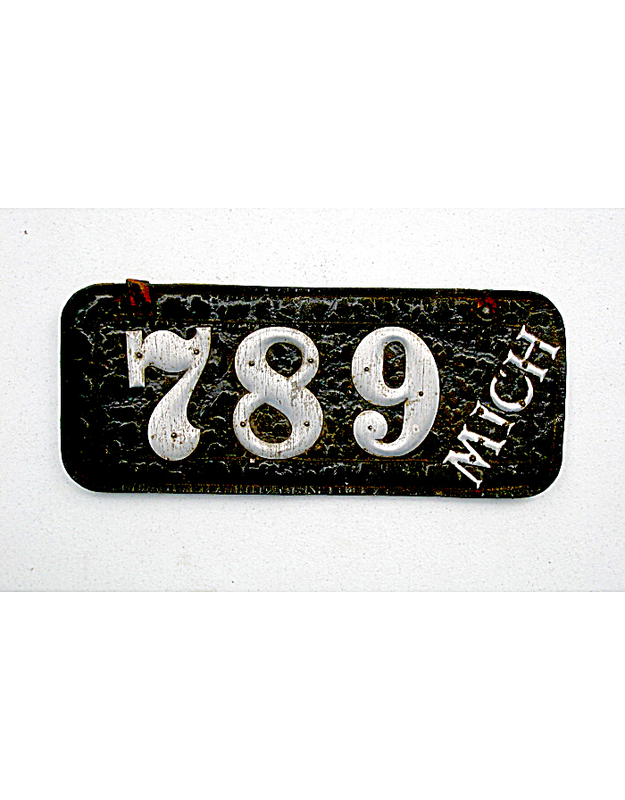 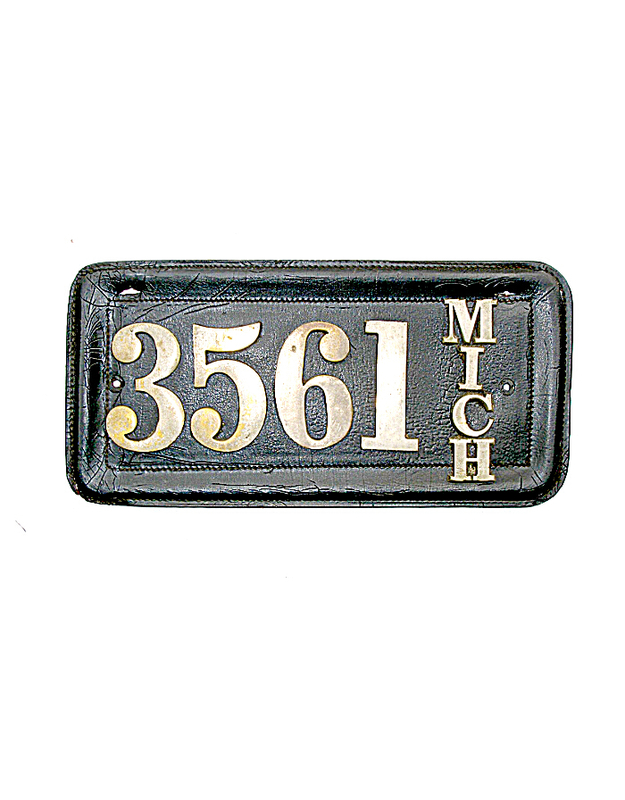 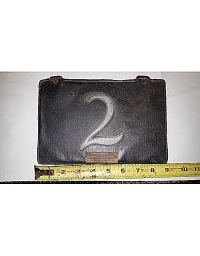 The City of Detroit actually began as early as 1903 using leather license plates, as shown below. 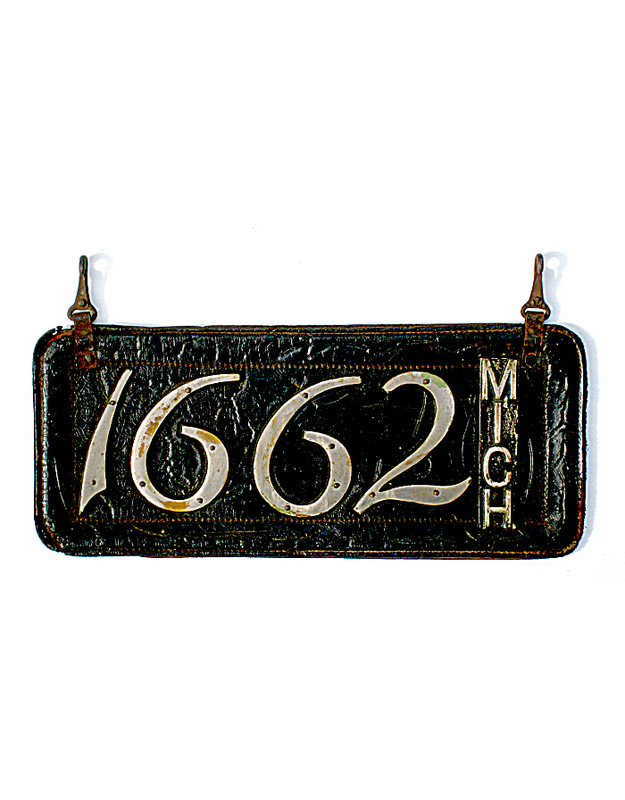 The State of Michigan began issuing automobile registration numbers in 1905, and continued through 1910, when in mid-year the state began using uniform state license plates. 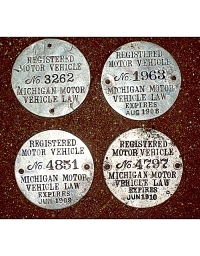 The state government provided dashboard discs to motorists in 1905-06, and required annual re-registration from 1907 to the end of the pre-state era in 1910, issuing a new disc each year. 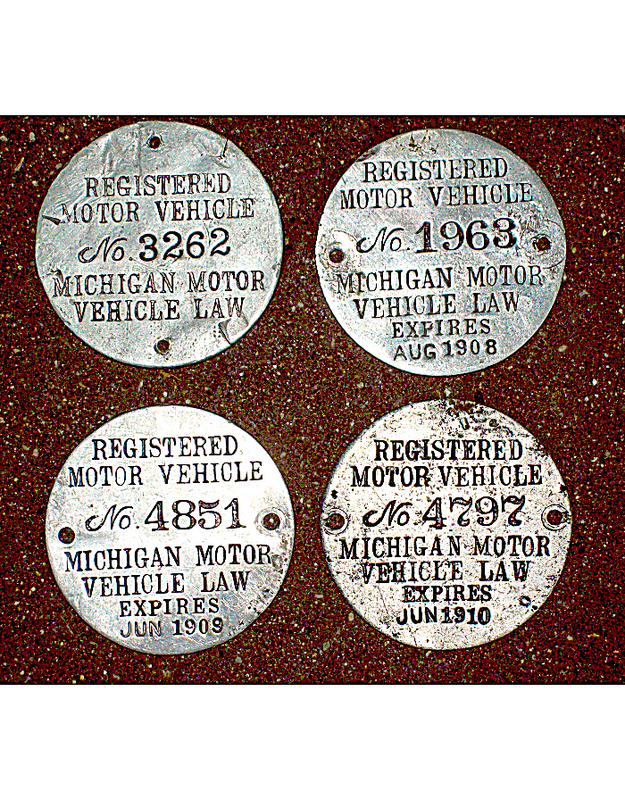 Discs from 1907 (expires ’08) onward were dated as to expiration, but the license plates themselves – made by the owner – could be used as long as the vehicle was continuously registered. 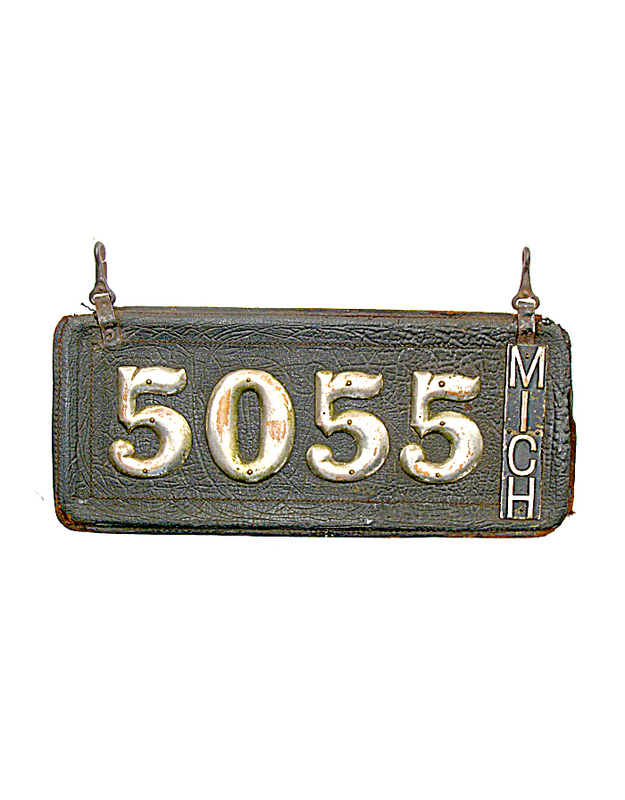 The majority of Michigan pre-state license plates are leather with house numbers attached, but a number of metal tags can also be found, along with a variety of other types. 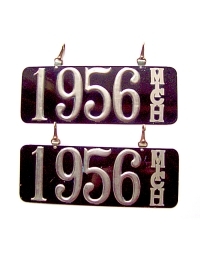 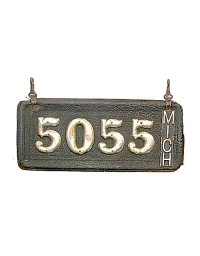 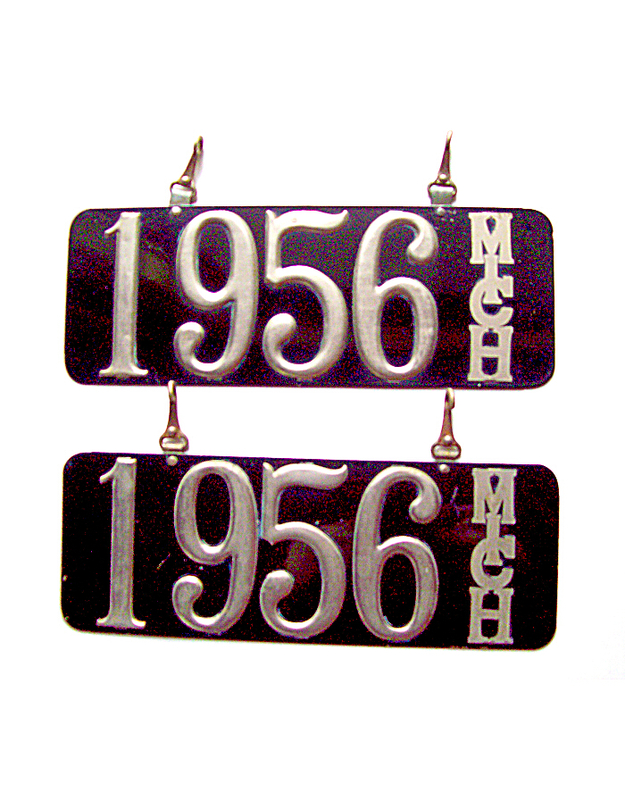 In all cases, the abbreviation MICH was required on these owner-made tags, making Michigan plates easy to identify.